What we often lack in branding today is meaningful storytelling with an ability to drive a real impact and social change. Due to an absence of a relevant cause, purpose or a powerful narrative, a lot of brands today still suffer from a preoccupation with the form, design, aesthetics and mode of content delivery (marketing channels), without having anything meaningful to say. This further inhibits their ability to make a difference and a positive impact in the world. Meaning stands at the core of storytelling. The reason we should embrace storytelling is because stories are the core of culture – it’s how humanity has evolved and how the culture has reproduced itself throughout the course of time and how it was shared by generations. The power of stories lies in their strong connection to the very essence of humanity. Stories are how we – the humans – relate to the world around us, how we consume meaning, how cultures are created, how folklore lives on for centuries. Without storytelling, there would be no history. 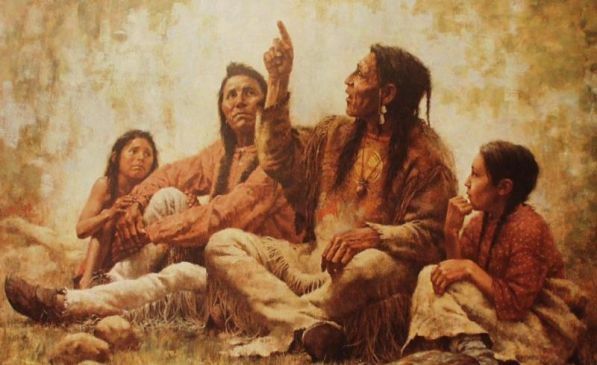 Storytelling was essential to the evolution of our cognitive abilities. Every good story has meaning at its core, otherwise, it wouldn’t resonate, make a difference and be memorable. The best stories are those that were meaningful enough to stick in our minds throughout history. The rest were forgotten. This is how our sense of history was created in the first place – through the story. Storytelling is so effective precisely because of the shared meanings it creates in our minds. It helps us navigate our way in the world and distinguish between what is and isn’t true. Meaning doesn’t only drive our cognition – as people are really meaning-making machines – it also drives our behaviors via our interpretation of the world and shared perceptions of what the world is like. This is how narratives are created – they are essentially shared stories about what is and isn’t true in our culture today. How we assign meaning to the world around us influences what and how we will consume. This is why it’s crucial for marketers to understand how our consumption of signs and cultural stimuli transforms into decision-making and purchase behavior. Behavioral marketing, cultural anthropology, semiotics and storytelling are all interconnected into one big dominant story – the narrative of consumption. We use these different points of view to give us different tools to decode how brand communication should be coded, what messaging and imagery will gain most traction with our audiences or what different cultural concepts mean. Creating actionable and meaningful narratives is a great first step for brands to nudge human behavior in a desired way. Stories are, without a doubt, the most powerful vehicle for change to date, and they’ve been with us since the beginning of time. What does our brand communication say about who we are and how we look at the world? Do our values come out in a clear and consistent way? What are the sorts of stories we tell about our brand? What are these stories mostly about? Are they aligned with our audience? Are they relevant to them, i.e. do they resonate with their values, beliefs, behaviors and expectations? 2. Look at what is happening in the global culture today. What are the dominant cultural streams you can detect today? How do they impact your brand and the relevance of its cause, persona and messaging? What are the sorts of causes, activities and interests that people are passionate about today? How has this changed in relation to the past? Are you aligned with these changes in interests, beliefs and expectations in the way that you communicate? Is your brand culturally relevant in the current market landscape? Does it tap into the cultural codes of today to amplify causes that are important to people? Does the brand live in a bubble or in the real world? 3. Now that you’ve explored the internal and external layer of your brand, bring them together. Is the marketing and communication you create relevant to the essence of your brand? Is it true to the changing essence of our culture today? How do these two parts of your brand – the inside and outside – interact? Meaning lives at the sweet spot between the brand and cultural relevance – it’s what connects your brand to culture to create its symbolic, as well as tangible (monetary) value. Once you’ve overlapped the world of your brand with the world of the culture and seen where the meaning is, you can start thinking about what kinds of stories your brand might be able to tell in an authentic, trustworthy and inspiring way that will best position your message culturally. Contributed to Branding Strategy Insider by: Dr. Martina Olbertova, founder and chief executive at Meaning.Global.